Communicate with other wireless electronic devices. Interface with existing payment systems. Integrate with a smart power grid. Automatically extend and retract the connector cable. 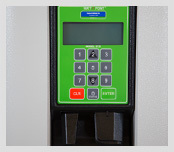 Our EV chargers come with a variety of features that ensure easy integration with your existing operations. 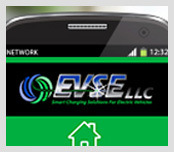 These support products include networking options, activation controls and tools that allow EVSE LLC chargers to adapt to an array of installations. Our electric car charging stations are smart-grid ready and now accept Automated Demand Response signals that control pricing and power during peak demand cycles. 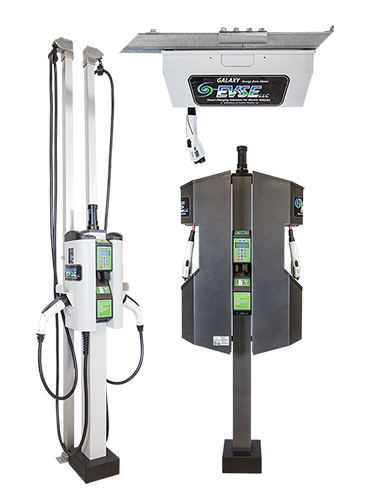 Designed to integrate with Amano McGann and other parking payment and access systems, EVSE LLC chargers are a perfect fit for the parking industry. Proven durable and dependable in real-world installations, many of our electric vehicle chargers feature our automatic electronic cable management system. This patented solution reduces tripping hazards and liabilities from charger station cables that are left on the ground. Our revolutionary cable retraction also protects the equipment from damage caused by snow, water and ice, as well as from vandals and other vehicles. The most advanced electric vehicle charging option available, engineered and manufactured for ease of use by any EV customer – just plug in, charge and walk the cable back as it automatically retracts into the housing. Competitively priced, Level 1 and Level 2, 7.2 KW, wall‐ or pole‐mounted EV charger available in stand‐alone mode or with a full range of network and payment services including Smart Grid/Demand Response. The industry’s only ceiling-mounted charger provides safe, affordable and ADA-compliant electric vehicle charging for commercial parking garages, multi‐dwelling units and private parking facilities. 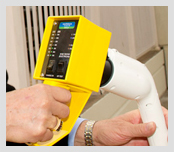 Designed for installers, our electrician testing tools ensure safe and correct EV charging station installation, diagnostics and testing. Allows for stand-alone credit card payment/ID badge swipe, providing a direct revenue stream from your network of EV chargers. 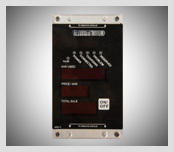 Compatible with a broad range of secure electric vehicle charger access methods including parking stub, RFID, proximity, UHF and credit card. Enables easy activation and credit card payment at electric vehicle charging stations using a convenient app on any mobile device.